LONDON -- PSA Group CEO Carlos Tavares will meet British Prime Minister Theresa May to discuss his automaker's planned acquisition of General Motors' Opel and Vauxhall operations. Both Britain and Germany fear PSA will cut jobs if the takeover goes ahead, and British politicians are particularly concerned that the country's looming departure from the European Union does not damage its resurgent auto industry. A spokesman for May confirmed on Saturday that a meeting would go ahead, and the business ministry said it was likely to take place next week, with business minister Greg Clark attending as well. Talks on a sale of GM's European arm to PSA were confirmed by both companies on Tuesday. Germany accounts for half of GM Europe's 38,000 staff, while there are 4,500 in Britain where the company operates under the Vauxhall brand. Two sources close to PSA said on Thursday that job and plant cuts were part of the tie-up talks, with the two Vauxhall sites in Britain in the front line. Clark, who went to Paris on Thursday evening to meet PSA, made commitments similar to those he gave Nissan last year, the Financial Times reported on Saturday, citing a person with knowledge of the meeting. Clark promised Nissan that he would ensure more car part suppliers were based in Britain, support training and research into electric and low-emission vehicles, and push for "free and unencumbered" access to EU markets for carmakers after Britain leaves the bloc. Britain's business ministry declined to comment on whether Clark had made similar commitments to PSA. Similar assurances are being made to other UK carmakers, the Financial Times source said. The UK government has declined to give exact details of its promises to Nissan, citing commercial confidentiality, though government auditors who saw the letter said it did not make the government liable for Brexit-related costs incurred by Nissan. The Financial Times quoted Clark as saying that he and PSA executives had "talked generally about our commitments and enthusiasm for research in electric vehicles and batteries," but added that the minister did not give further detail. 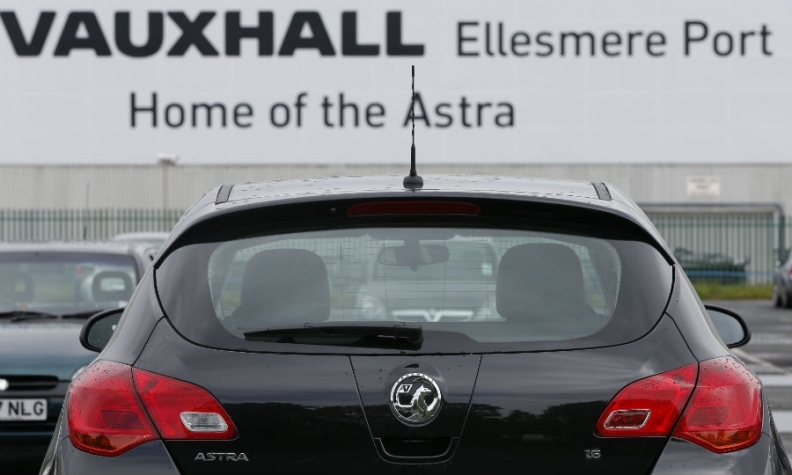 GM's plant in Ellesmere Port, England, builds the Astra compact car for the Opel and Vauxhall brands and has almost 2,000 workers. GM's factory in Luton near London produces the Vivaro van and employs 1,500 people. Why leave Europe's car market? So many reasons.